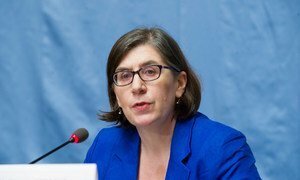 “Unsafe abortions cause the deaths of some 47,000 women each year and a further five million suffer some form of temporary or permanent disability,” said the UN Human Rights Council Working group, on the issue of discrimination against women in law and in practice. The group highlighted that the ability for a woman or girl to make her own decisions about pregnancy “is at the very core of [her] fundamental right to equality, privacy and physical and mental integrity and is a precondition for the enjoyment of other rights and freedoms”. Currently, an estimated 225 million women worldwide are deprived of access to modern contraception, often leading to unplanned pregnancies. For girls, issues arising from pregnancy and childbirth are some of the most common causes of death in developing countries. Girls under the age of 15 are five times more at risk. “Legal frameworks for abortion have typically been designed to control women's decision-making through the use of criminal law,” the experts said. Data from the World Health Organization (WHO) demonstrates that criminalising the termination of pregnancy does not reduce the number of women who resort to abortion procedures. Rather, it is likely to increase the number who end up have unsafe “back street” procedures. In addition, “too many women are physically and verbally mistreated or simply denied emergency medical care after abortions”, which the experts said, “amounts to another means of punishment which violates international law and, in many instances, national laws and policies”. “Governments have a duty to ensure that women and girls who have abortions are treated humanely and without judgement or assumption of violating laws, in particular in cases of miscarriages,” they stressed. 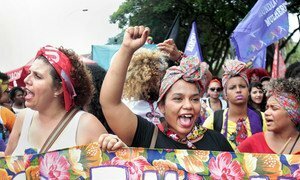 The experts added that they hoped that “important steps” already taken in some countries to “reclaim women’s reproductive rights through referendums, legislative and judicial action” can be followed by others. They called for “concerns about unsafe abortion” to be addressed through public health, relevant medical malpractice and civil law.